WE CAN DELIVER THIS ML550 4MATIC TO ANY DRIVEWAY IN THE COUNTRY! 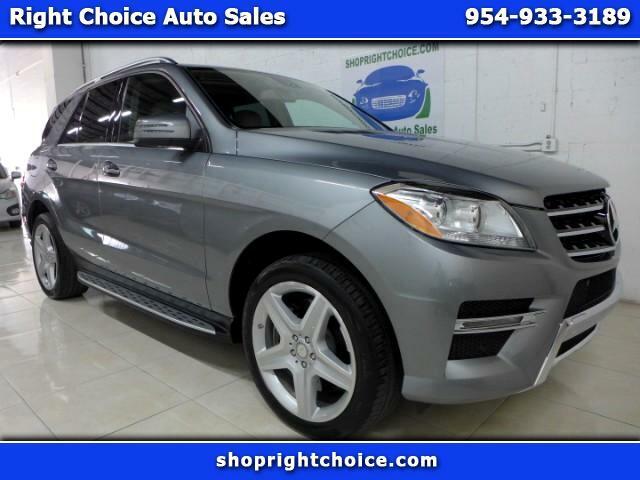 VISIT OUR WEBSITE AT WWW.SHOPRIGHTCHOICE.COM TO SEE 93 PHOTOS, THE FREE CARFAX, AND MORE INFORMATION ON THIS INCREDIBLE, LIKE-NEW 2013 MERCEDES-BENZ ML550. THIS 1-OWNER, HARD TO FIND 550 IS ABSOLUTELY LOADED WITH OPTIONS AND FEATURES, HAS A CLEAN (NO ACCIDENTS) CARFAX, AND IS PRICED TO BE THE BEST DEAL IN THE COUNTRY! YOU WILL NOT FIND ONE ANYWHERE IN THIS LIKE-NEW CONDITION, WITH THESE MILES AND OPTIONS FOR LESS. DON'T MISS IT.